Many IoT projects rely on wireless connectivity through WiFi or Bluetooth, but in some cases it may be more reliable and convenient to use wired connectivity. The CAN Bus is a little like a low bandwidth Ethernet PoE solution for IoT, as it allows to transfer data over a serial connection while provided power at the same time, and can be daisy chain to support multiple boards. 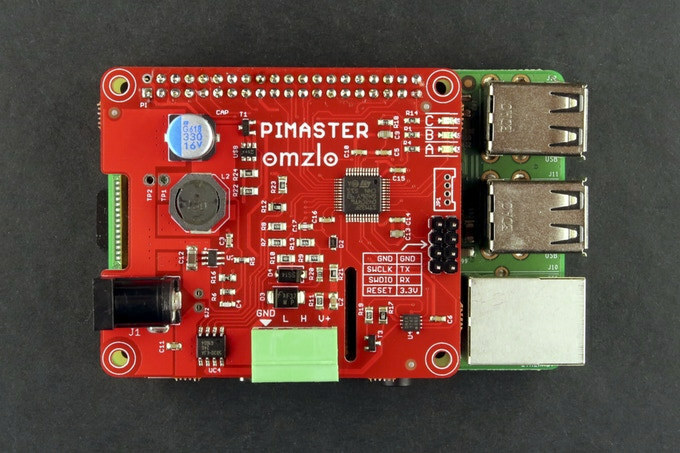 Omzlo’s NoCAN IoT platform provides a CAN bus solution leveraging Raspberry Pi 3 board through their PiMaster HAT acting as a CAN bus gateway, and Arduino compatible CANZERO boards to which you can connect sensors and actuators. MCU – STMicro STM32F042 Cortex-M0 32bit ARM MCU – 48Mhz. Security – Smart power switch with over-current protection. Software-wise, the company provides nocand daemon for the Raspberry Pi in order to power up or down the network, monitoring voltage and current levels, register nodes and channels, ,rebooting nodes, and upgrading firmware on the CANZERO nodes. 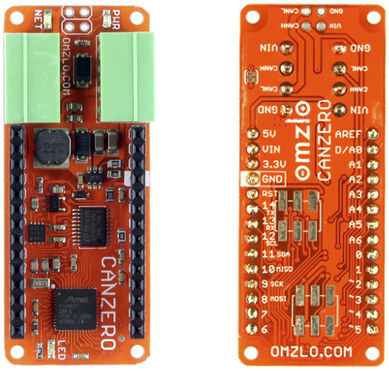 CANZERO board can be programmed with the Arduino IDE using Omzlo SAMD boards packages and Nocan library with an API to handle the CAN Bus. You’ll find software and hardware documentation, including PDF schematics, on Omzlo NoCAN platform page. The project is already funded on Kickstarter, and you still have 26 days to go to make a pledge. Rewards start at 57 Euros for the “Standard NoCAN kit” with Omzlo PiMaster HAT, two Omzlo CANZERO nodes, some screw terminals plugs, spaces, and a 120-ohm termination resistor. Shipping adds 5 to 6 Euros, and you can expect your kit around September 2018 at the earliest.